Examining a few references in the Homeric epics and Herodotus. Anger [mēnis], goddess, sing it, of Achilles, son of Peleus— 2disastrous [oulomenē] anger that made countless pains [algea] for the Achaeans, 3 and many steadfast lives [psūkhai] it drove down to Hādēs, 4 heroes’ lives, but their bodies it made prizes for dogs [kuōn, pl.] and for all birds, and the Will of Zeus was reaching its fulfillment [telos]. In this very familiar passage we see the threat of the horrific prospect of bodies being eaten by dogs: a taboo. But did this ever happen? 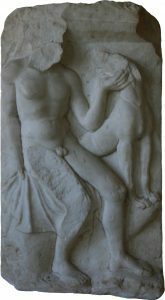 How did ancient Greek texts and art portray dogs? Here are a few passages to start the discussion. As for Melanthios, they took him through the hall into the inner court. 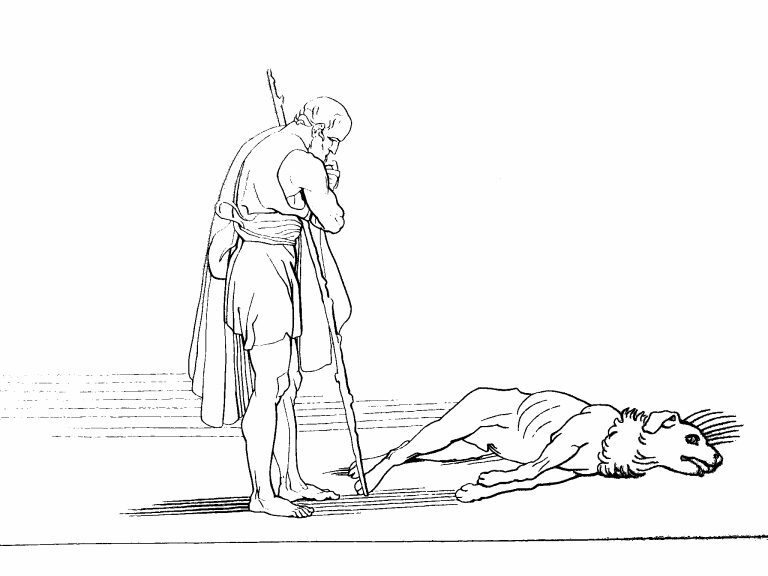 There they cut off his nose and his ears;  they drew out his vitals and gave them to the dogs [kuōn, pl.] raw, and then in their fury they cut off his hands and his feet. We have followed you, shameless one, for your pleasure, not ours—to gain satisfaction [tīmē] from the Trojans for you—you with the looks of a dog [kunōpēs]—and for Menelaos. “Wine-bibber,” he cried, “you with the looks [omma pl.] of a dog [kuōn] and the heart of a deer, you never dare to go out with the army of warriors in fight, nor yet with our chosen (best of the Achaeans) men in ambuscade. However, there are also many examples of dogs being used for the benefit of their masters, particularly in hunting. “Eumaios, what a noble hound [[kuōn] that is over yonder on the manure heap: his build is splendid; is he as fine as he looks, or is he only one of those dogs [kuōn, pl.] that come begging about a table [trapezeus, pl. ],  and are kept merely for show?” “This hound,” answered Eumaios, “belonged to him who has died in a far country. If he were what he was when Odysseus left for Troy,  he would soon show you what he could do. There was not a wild beast in the forest that could get away from him when he was once on its tracks. But now he has fallen on evil times, for his master is dead and gone, and the women take no care of him. This passage raises many questions, for example why didn’t the women take care of him? Was it not a woman’s role, or was it because the whole household is in disarray? 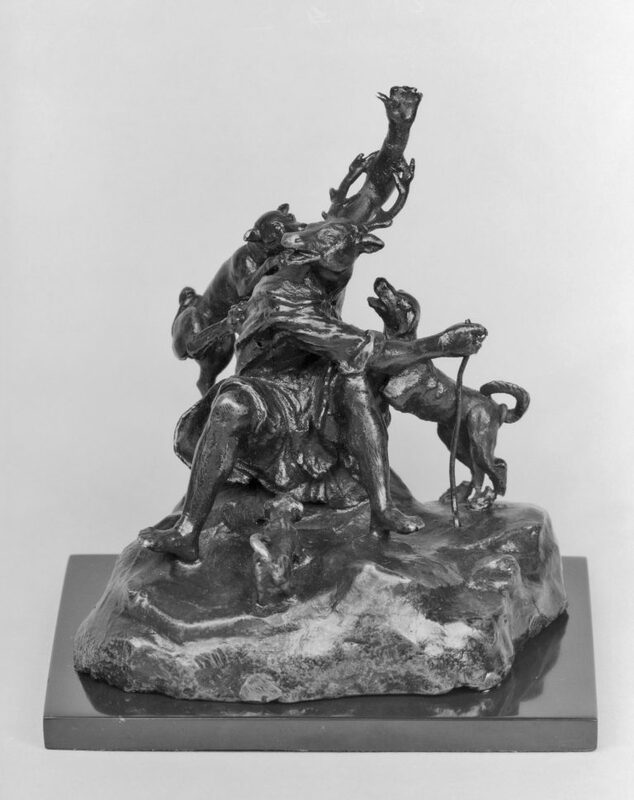 Were hunting dogs associated only with young men? Against the bier he leaned two-handled jars of honey and unguents; four proud horses did he then cast upon the pyre, groaning the while he did so. The dead hero had had nine dogs [kuōn pl.] fed at the table [trapezeus, pl. ]; two of them did Achilles slay and threw upon the pyre;  he also put twelve brave sons of noble Trojans to the sword and laid them with the rest, for he was full of bitterness and fury. Thus did he vaunt, but the dogs [kuōn pl.] came not about the body of Hector,  for Zeus’ daughter Aphrodite kept dogs [kuōn pl.] off him night and day, and anointed him with ambrosial oil of roses that his flesh might not be torn when Achilles was dragging him about. These passages are just a few examples from the Homeric epics or Herodotus. You might like to watch a section of this video dialogue with Leonard Muellner, in which he talks about dogs, taboo behavior, and epithets (09:52–17:03). Mentioned in the video (but not referred to in the preparation of this post): Manfred Faust “Die künstlerische Verwendung von κύων, ‘Hund’, in den homerischen Epen,” Glotta48 (1970) 8–31. Charles Segal The Theme of the Mutilation of the Corpse in the Iliad. Dan-El Padilla Peralta during in an Open House event discussed the scene with Argos and other, related, passages (32:03–40:15). 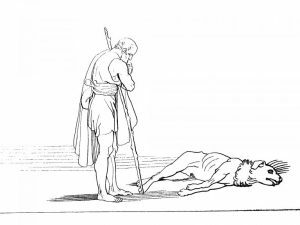 You might like to read Chapter 4 of The Captive Women’s Lament in Greek Tragedy (University of Texas, 2006) where Casey Dué discusses the metaphor world of dogs near the end of the chapter on the Hecuba. Originally published by The Center for Hellenic Studies under a Creative Commons Attribution-NonCommercial-NoDerivs 3.0 Unported license. This entry was posted in Ancient, Dogs, Greece, Greek, History, Pets. Bookmark the permalink.